Little Maya Margaret. 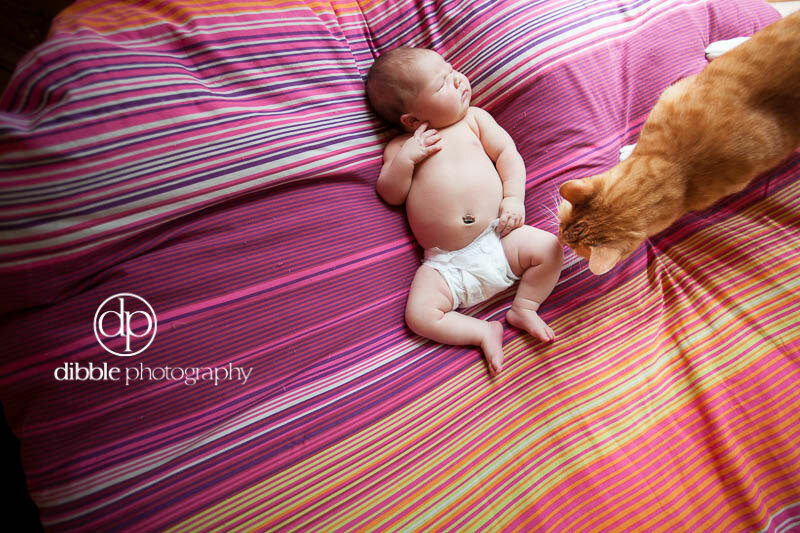 A fascination for her new parents, and for the rather curious feline, Wiley. She's a mellow one, happy to snack and snooze and smile in the summer heat. Unfazed by surreptitious little kisses from the cat. Generally a delight. Welcome little Maya.